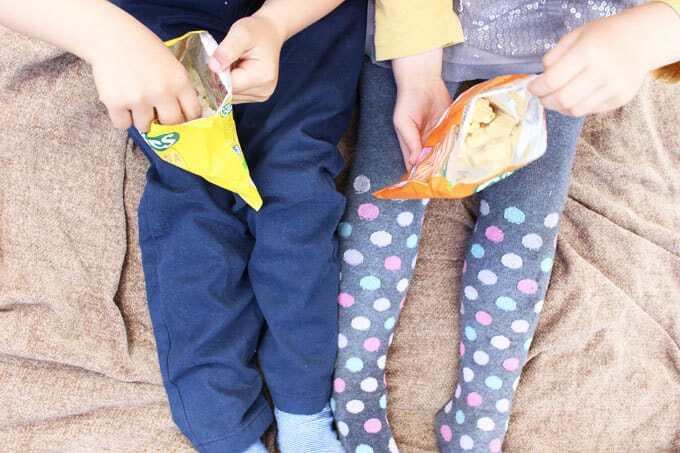 We’ve been testing out the Organix new products, including Crispy Bars, Puffcorn, Mini Oaty Bites and Breadsticks – yum! We’ve been working with Organix over the last few months, trying to improve our family diet a little, by taking part in their #NoJunkJourney. 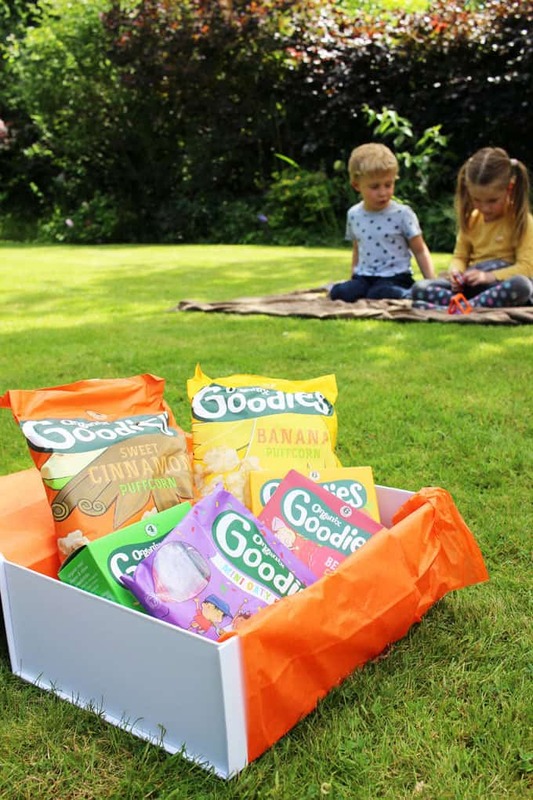 We’ve loved Organix products since the very start of weaning and they are still a staple in our cupboards now, so we were really excited when a surprise box arrived at our door last week. We were some of the first to test out their newest products. Here’s what we thought of them.. Packed full with juicy raisins, these puffed rice bars come in Berry flavour and Cocoa and Orange flavour. G loved the cocoa and orange bar, “it’s a treat!”. “Crunchy and tickly!” (?!) These would make a perfect sweet treat lunch box filler or for keeping something non squashable in your bag for snack emergency moments. These bags of bitesize popcorn are a really fun alternative to normal popcorn. The perfect sized portion, they have no hard kernels of corn and come in Sweet Cinnamon and Banana flavours. We loved this addition to the range, as they offer a really different texture to normal weaning type snacks. These would be ideal for practising that pincer grip with very little ones. I was also pleased to see the cinnamon flavour in there, I think introducing kids to different herbs and spices early on is really positive in opening them up to trying new things later on. Mini oaty bites, are individually packaged little flapjack type bars. The usual Organix bars are one of our must buy products, especially for the summer, with lots of days out ahead. These are a quirky take on those bars, meaning kids can mix and match and taste different flavours. These tasty little bites were our favourite of the new products. G was howling with laughter about the drawing on the front of the pack of a little boy using one as a pogo stick, which is always a good start. They are individual bags of small, super crunchy breadsticks, with real cheese and chives in them. H said “I LOVE cheeeeeese. I could dip these in cheese and hummus and they would be even more yum.” Excellent serving suggestion there. 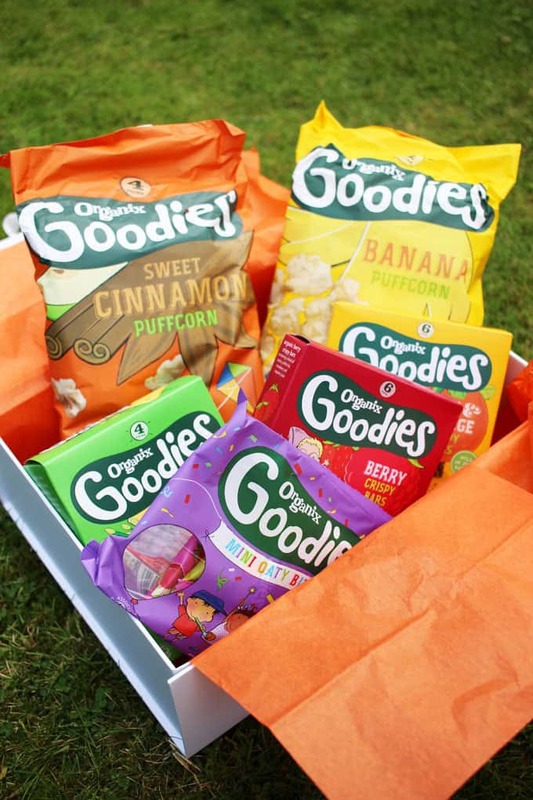 Have you tried the new Organix products yet? Which are your favourite? 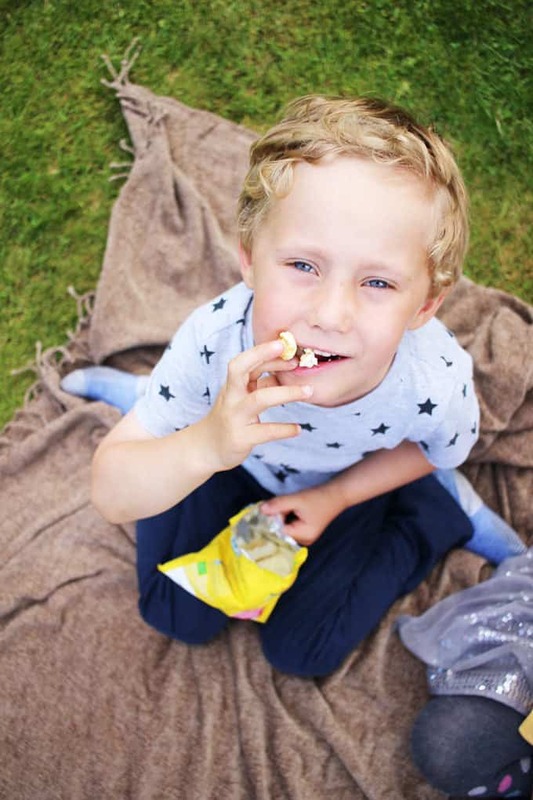 What’s your favourite snack to keep on hand for hunger emergencies when you’re out and about?! 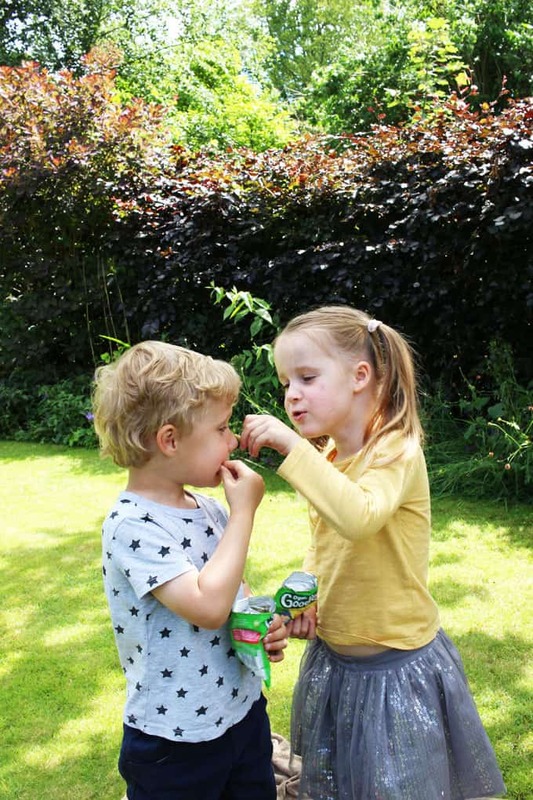 Disclosure: This is a post sponsored by Organix although all opinions are my own and improving the diet of our children is a cause I feel strongly about.